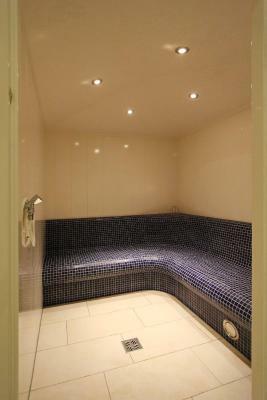 Lock in a great price for ARCOTEL Nike – rated 8.3 by recent guests! Location to my customer was fantastic as well as the staff upon checkin and when I had questions. Newly renovated it was quite nice. 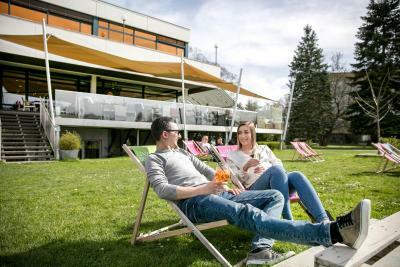 Nice location by the Danube river, close to the city center. Without extra cost good value. Room was nice and also views and also location. Staff helpful, they could have warned about breakfast though. I really liked the fast free internet that made my life easier since all the tv channels are in German. The hotel was very clean and close to the train station .The breakfast was good . The only thing was needed in the room to be perefect is the tea and coffee supplies. Location was really good,, walking along the river side was very refreshing. 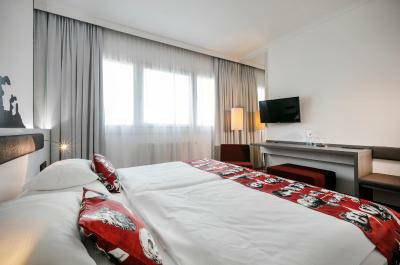 Confortable hotel with spacious and clean rooms, easy to reach and with internal parking. Good breakfast. Beautiful view on the river, near the park/riverside for the running lovers. Lovely view over the river, close proximity to running trails, swimming pool and the sports complex. 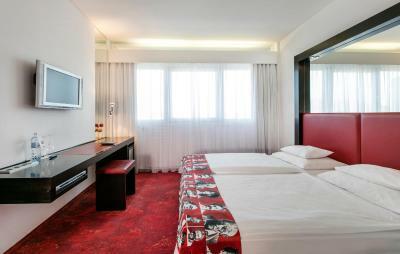 Newly renovated rooms, we had both a deluxe and normal room booked. 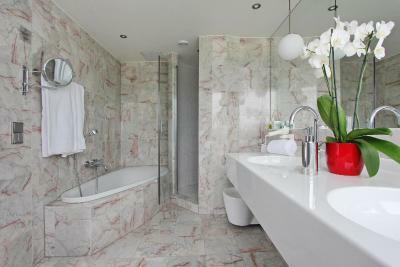 The main differences is that the deluxe option has a larger bathroom and has a higher view over the city. 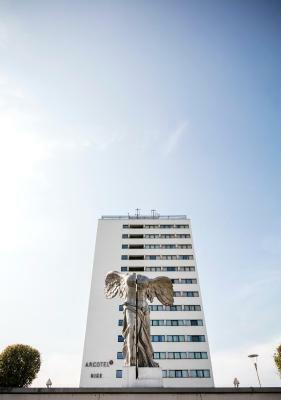 ARCOTEL Nike This rating is a reflection of how the property compares to the industry standard when it comes to price, facilities and services available. It's based on a self-evaluation by the property. Use this rating to help choose your stay! 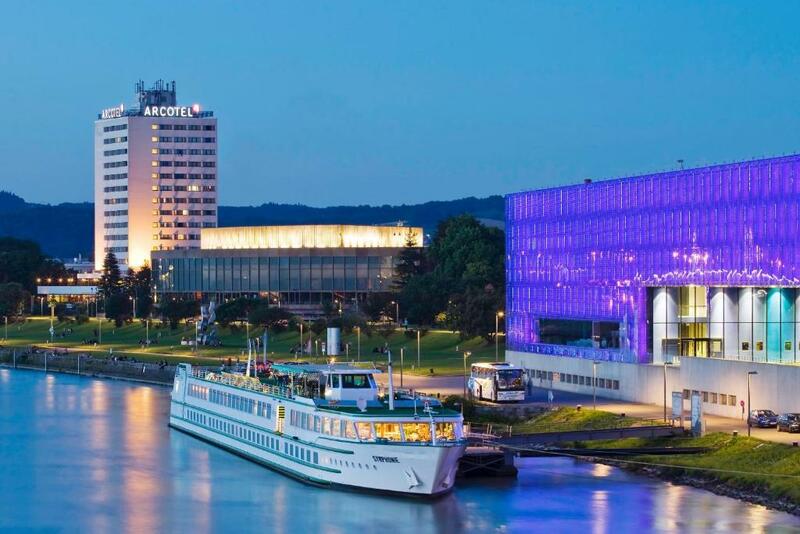 Directly set on the banks of the Danube River with a view of the Pöstlingberg Mountain, the ARCOTEL Nike is only a 10-minute walk from the historic center of Linz. 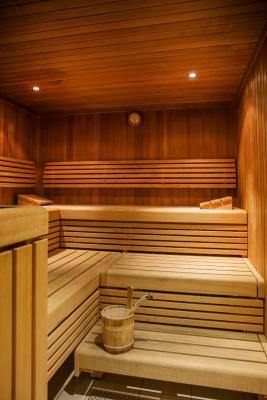 This nonsmoking hotel offers free WiFi and a spa area with a sauna, steam bath, and relaxation room. 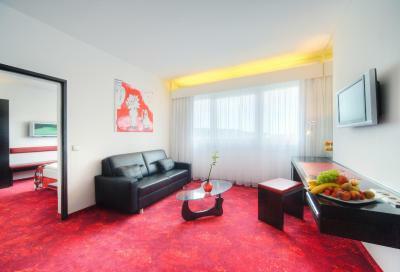 The modern rooms offer views over the city and the Danube. 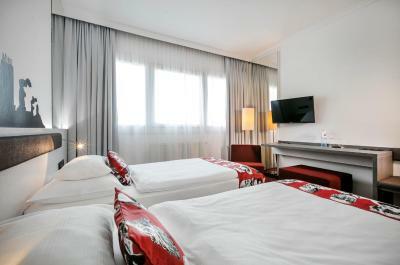 Each room features a flat-screen satellite TV, a desk and a bathroom with a hairdryer. 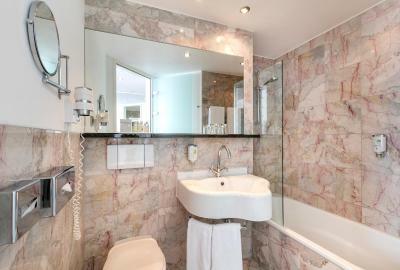 The Superior rooms and Suites are equipped with a mini-bar. 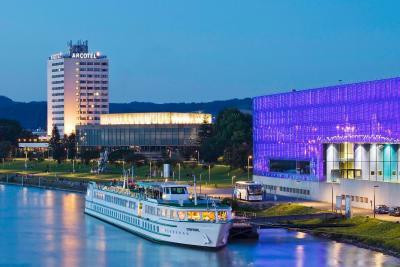 The ARCOTEL Nike's dasRESTAURANT, with a view of the Danube and the Pöstlingberg, serves Austrian and international cuisine with seasonal variations. 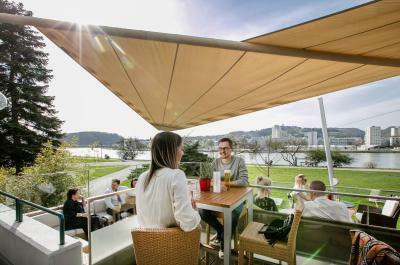 In summer, guests can enjoy the maritime atmosphere at the Danube Terrace. 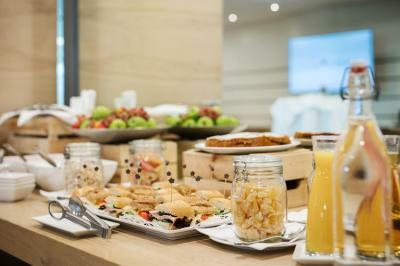 A rich buffet breakfast is available and a continental breakfast can also be requested. 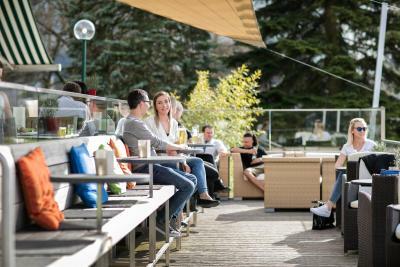 The loft-like KÉ café & bar with its unique panoramic window overlooking the Danube serves homemade pastries and business lunches. Art exhibitions and wine tastings take place regularly. There is 1 internet terminals in the lobby that can be used free of charge. A public parking garage is directly in front. 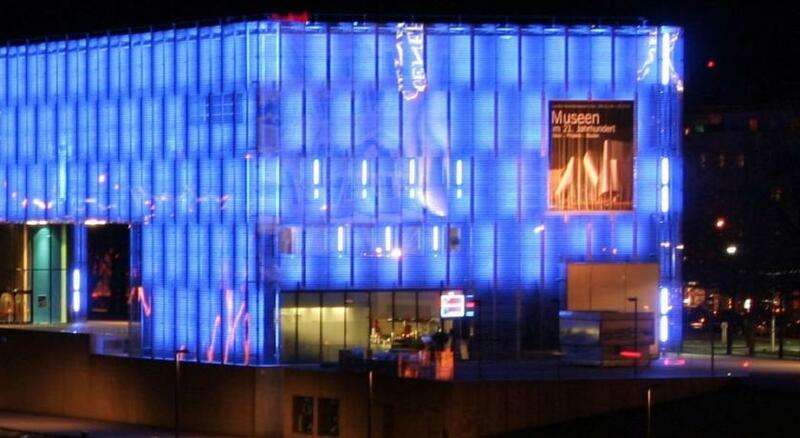 Many attractions such as the Brucknerhaus Concert Hall, the Lentos Museum of Modern Art, and the Ars Electronica Center are nearby. 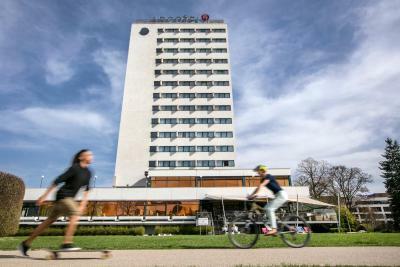 Many jogging routes and bicycle trails pass right by the ARCOTEL Nike, and the A7 motorway is only 2,650 feet away. 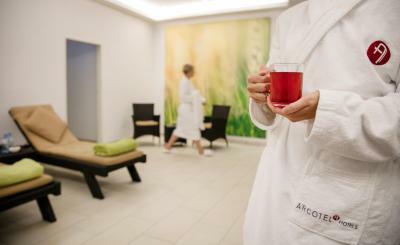 When would you like to stay at ARCOTEL Nike? 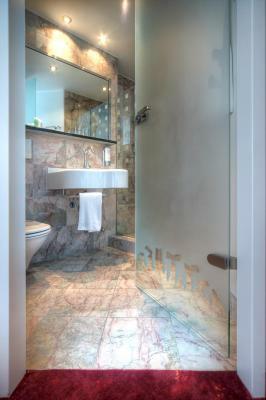 These rooms are on the lower 4 floors, with views over the city. 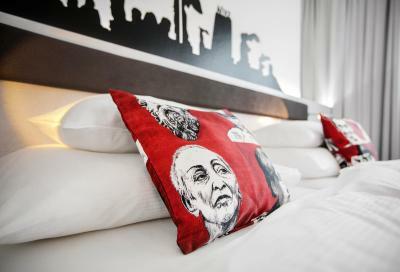 They feature a flat-screen satellite TV, a desk and a bathroom. 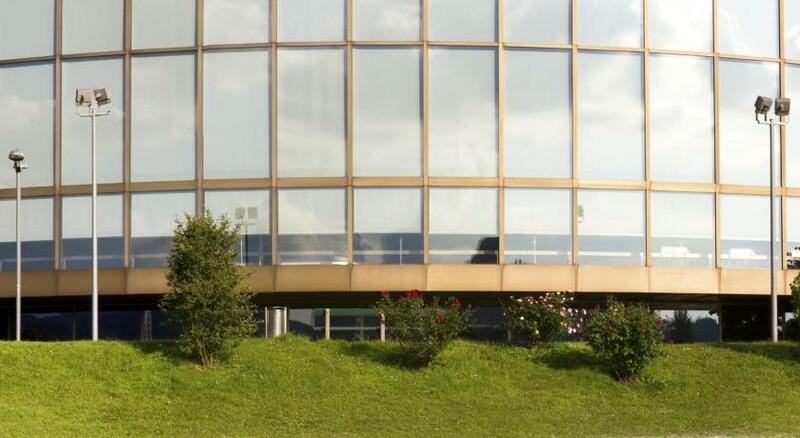 These rooms are on the 5th to 12th floors, with views of the city. 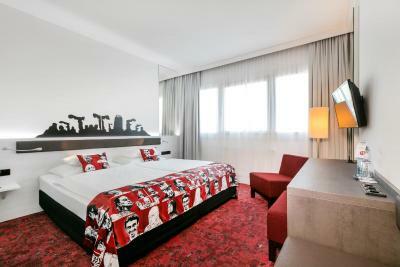 They feature a flat-screen satellite TV, a minibar, and a bathroom. 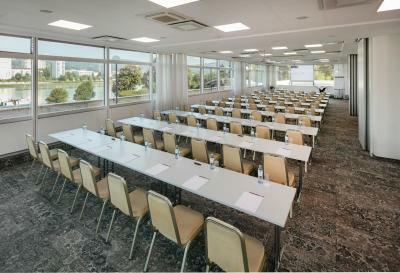 These rooms are on the lower 4 floors, with views over the Danube and the park. 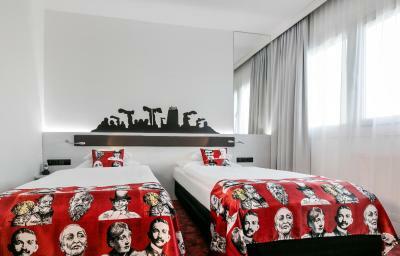 They feature a flat-screen satellite TV, a desk and a bathroom. 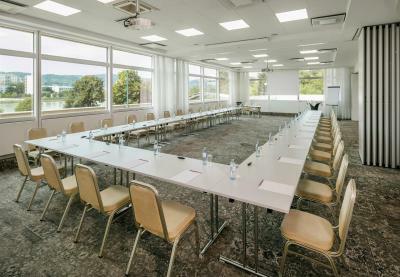 These rooms are on the 5th to 12th floors, with views of the Danube and the park towards the Pöstlingberg Mountain. 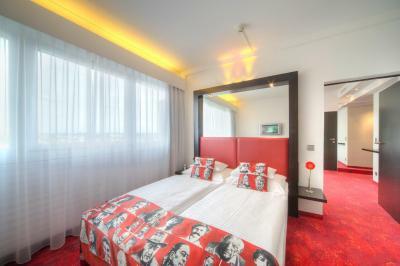 They feature a flat-screen satellite TV, a minibar, and a bathroom. The junior suite feature a separate living room with a minibar, a flat-screen TV, a DVD and a CD player and a Nespresso coffee machine. 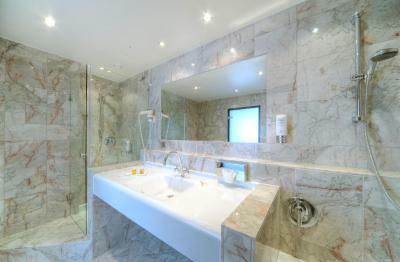 The bathroom comes with marble floors, a bathtub and a separate shower, and a hairdryer, bathrobes and slippers. 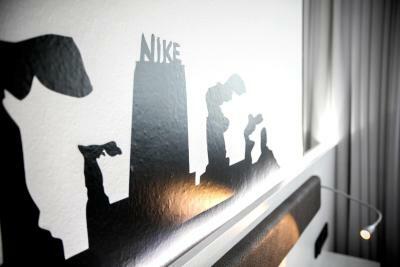 House Rules ARCOTEL Nike takes special requests – add in the next step! 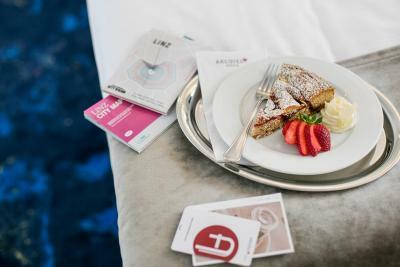 ARCOTEL Nike accepts these cards and reserves the right to temporarily hold an amount prior to arrival. 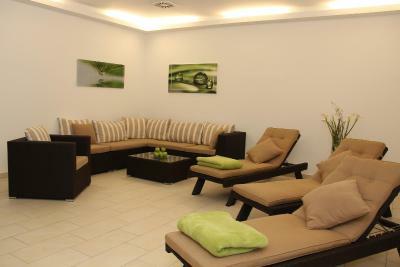 The entrance, dasRESTAURANT, KÉ café & bar and all public areas and rooms are suitable for disabled guests. Restaurant is limited in choice and with bored and slow personnel. Was the high temperature inside of room despite of window was opened all the time and heating lowered to minimum. The breakfast was expensive but did have a wide variety of options. I would have perhaps given a slightly more favorable review if it wasn't the fact that when I turned up, the hotel ground floor was under a complete refurbishment. I was not aware of this at the time of booking, nor did I receive any email warnings. I did, however, receive an email from the hotel offering me a paid room upgrade! Upon arrival, there was no obvious way into the hotel and no obvious signage telling me what on earth was happening. I nearly abandoned stay and booked somewhere else since I was panicking. Luckily I managed to message a friend of mine who was also staying at the hotel who told me that the temporary entrance was on the basement floor (accessible to the lower side of the hotel). This provided a temporary but slightly dusty smelling entrance to a temporary reception. Given all this frustration, to then get to my room and find a single bottle of water being charged at 5 EUR (and no coffee making facilities), was very disappointing. I found the beds slightly uncomfortable, and the bath/ shower slightly difficult to climb out of (for a big older guy), but the room was otherwise clean, fairly spacey, and pleasant. A word of warning for young families, the windows can be unlocked and opened fully which whilst great for me to breath the fresh air, could be dangerous for small children to climb out of (if they are old enough to open the window, but young enough to do stupid things). If the hotel wasn't having refurbishment AND little things like the silly 5 EUR charge for water wasn't applied I would have raised my ratings for value for money, facilities, and cleanliness. I probably wouldn't stay here again though unless prices were significantly lower than alternatives closer to town, which they weren't. 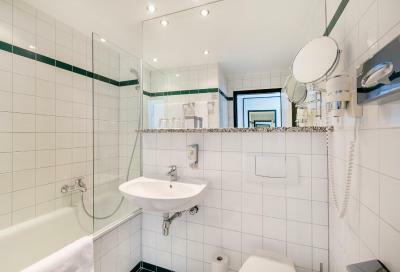 Room was nice and clean and location was quite pleasant being on the banks of Danube, albeit slightly outside the City centre (being approximately 20 mins casual walk away). This is a great spot for joggers though. It was also quite close to the Business startup centre (if you are travelling for business). 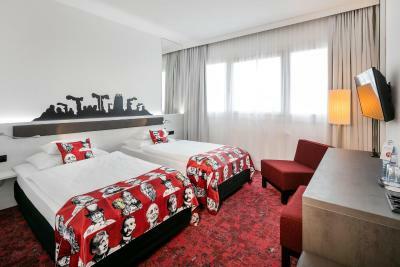 We searched for a room in town called Linz, and we found hotel ARCOTEL and we had offer from 90 euro with no breakfast included one other offer from 100 euro also with no breakfast included and the last offer was 125 euro with breakfast included and double bed so we booked the third option!! 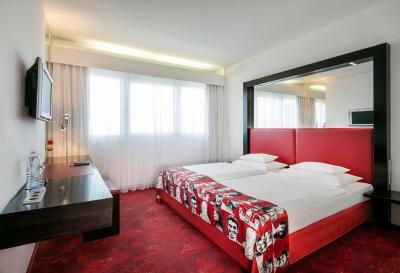 The bed was double but when I had to check out their said to me that I must to paid 37 euro more for the breakfast! !and the breakfast was no so special! !are you kitting me Booking.com and ARCOTEL Nike together? not enough small tables for breakfast, incompetent staff during breakfast. tolerated long line on one of the coffee machines when the other one was simply out of water. breakfast buffet was good, room was clean.